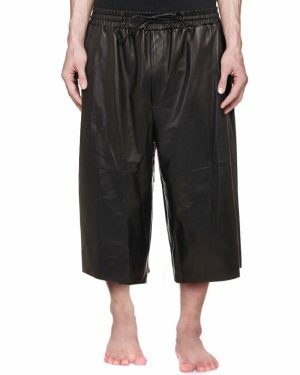 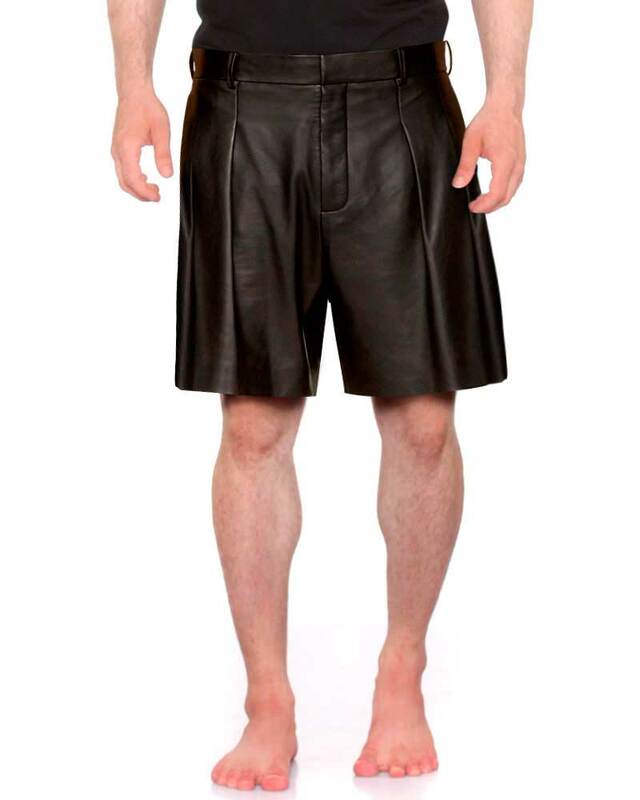 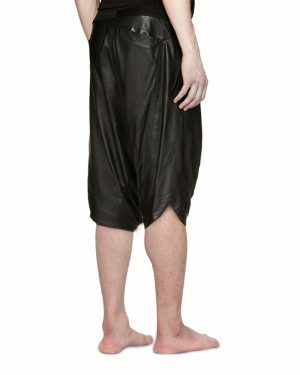 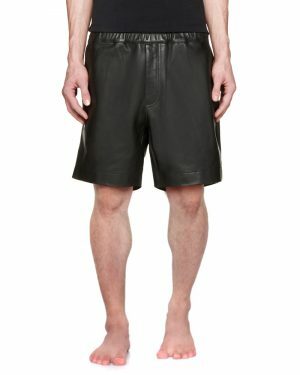 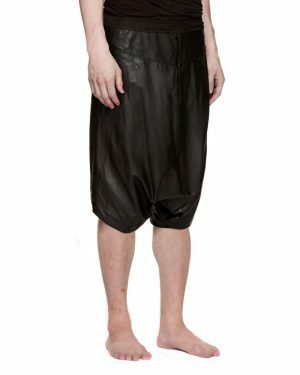 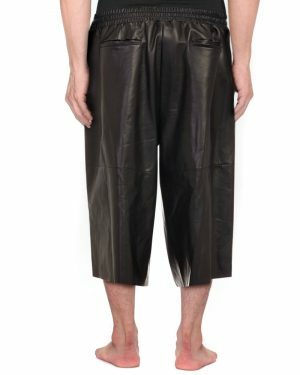 Embrace classy and smart look with these Mens black leather shorts. 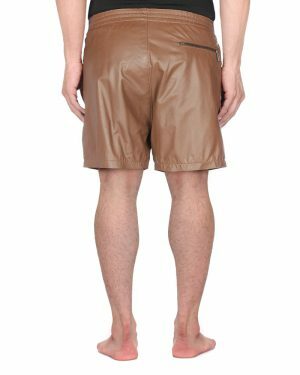 These shorts have been designed such that you can easily add them in your regular wear. 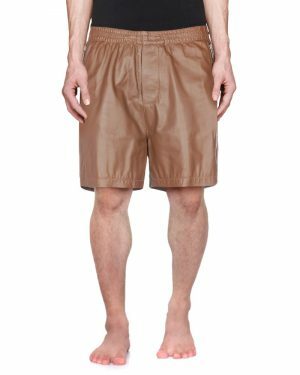 They can lend you optimum comfort throughout the day. 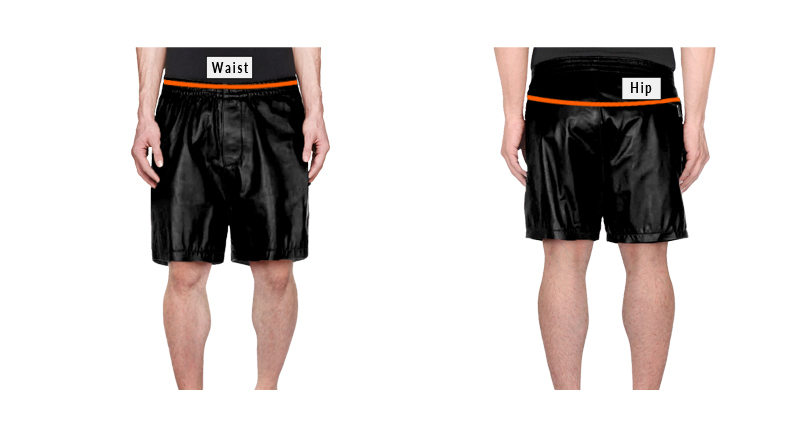 Pair these shorts with T-shirt and roam around with absolute ease. 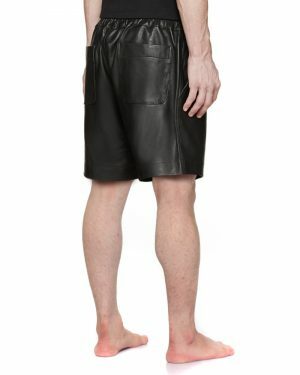 Pleated front panels and two side pockets add to the style of these leather shorts.